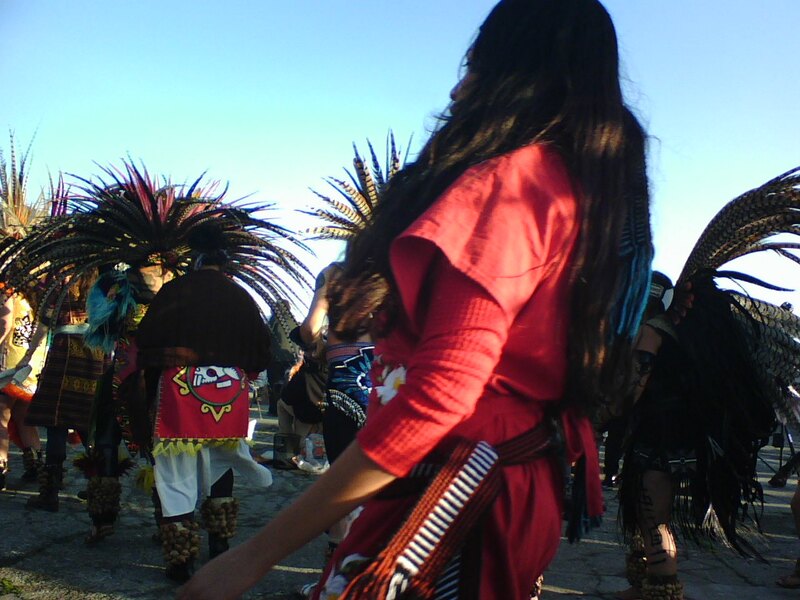 Photos copyright Carl 'Bad Bear' Sampson, Western Shoshone. 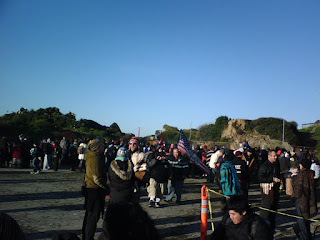 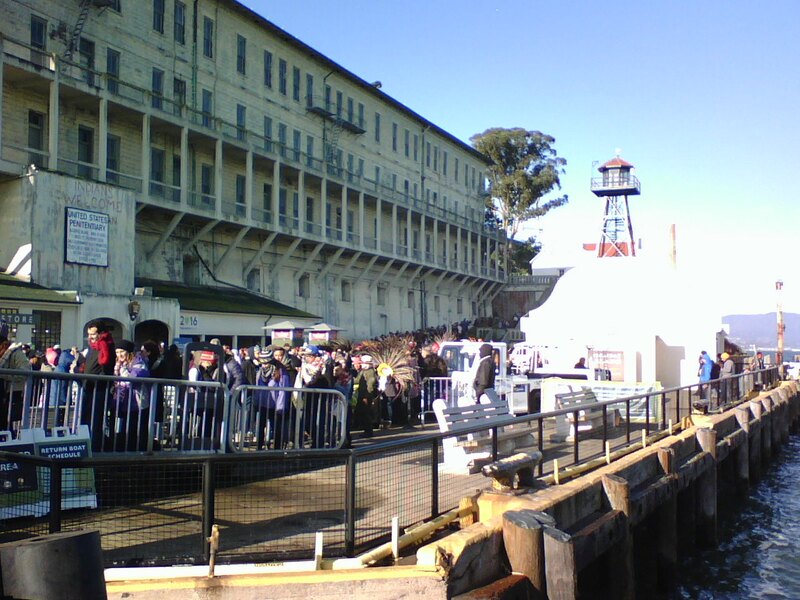 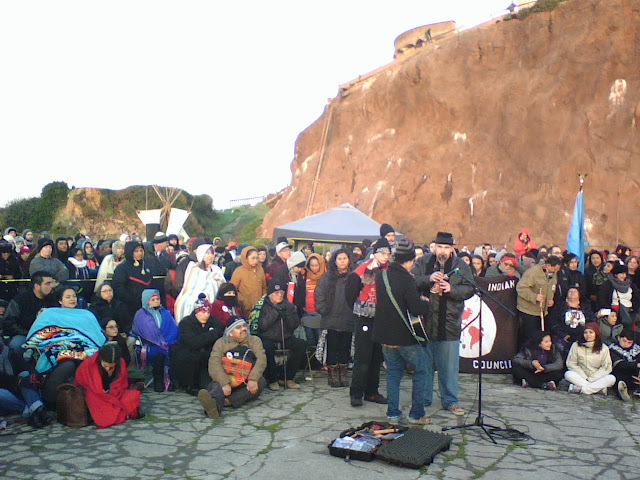 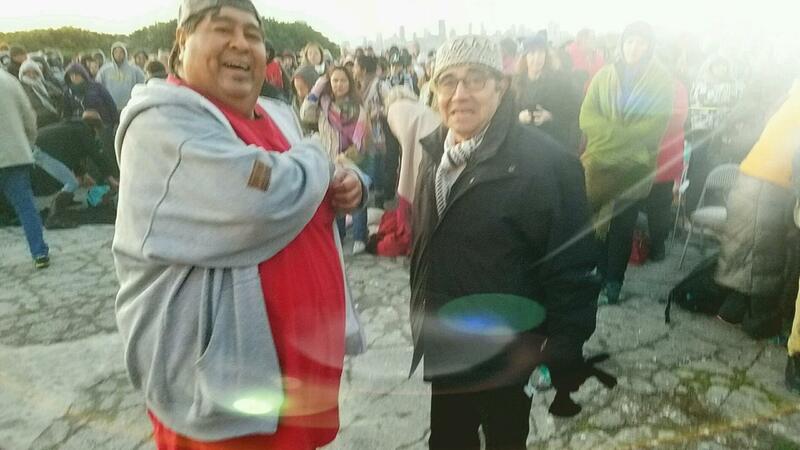 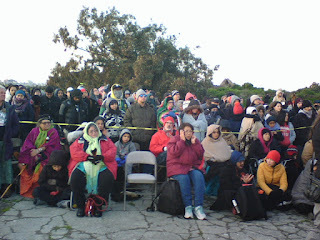 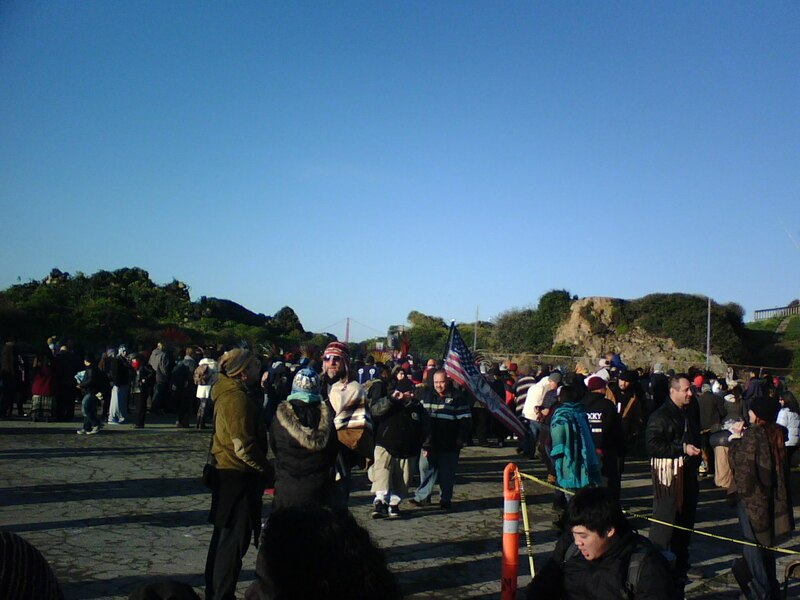 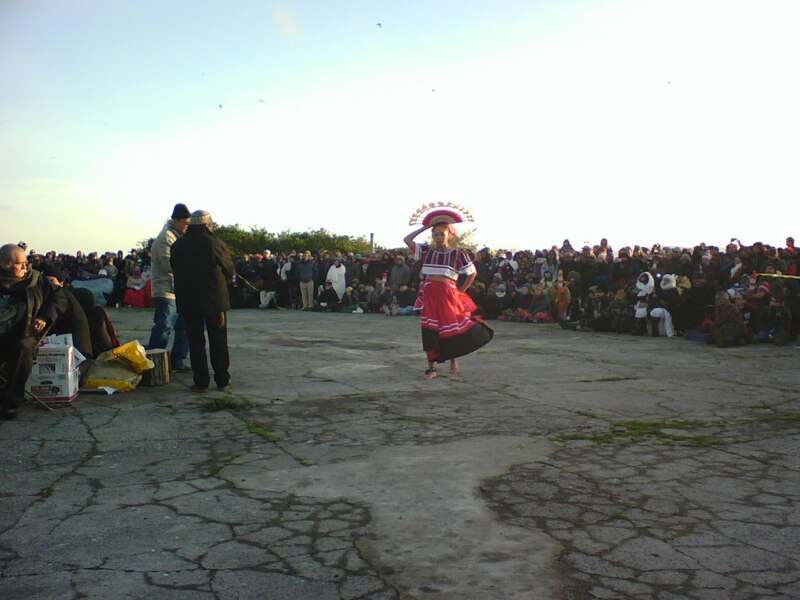 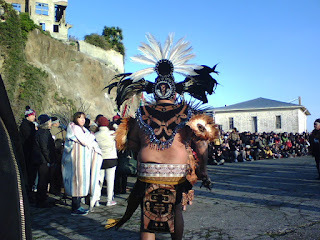 Bad Bear said highlights of this year's Alcatraz Sunrise Ceremony were a flute tribute to John Trudell and the words of a Filipino who performed a special dance. She said Indigenous Filipinos are treated like the Native American water protectors at Standing Rock. Special thanks to Bad Bear and his father, Buck Sampson, Paiute (in photo three with AIM West coordinator Tony Gonzales) for sharing their photos and words with Censored News.